There are plenty of attractive concepts in the recently released draft of Mayor Byron W. Brown’s ”Green Code” (known officially as the “Unified Development Ordinance” or UDO). 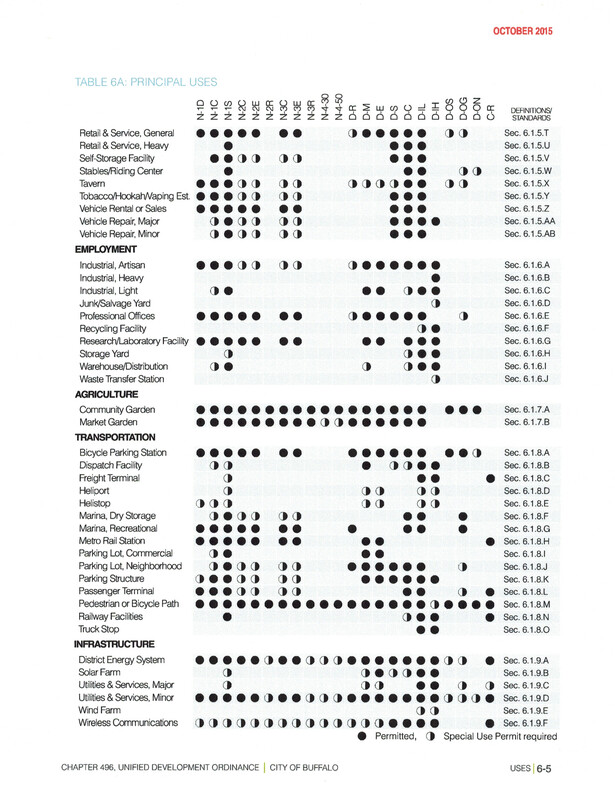 The image of a walkable, bicycle-friendly city. Tree conservation and open space. Designs for “complete streets”, including traffic calming measures and “road diets.” Environmentally-friendly roofs. Etc. And there is no reason that the laudable aspects of the plan that has been touted by the Brown Administration since 2010 should not become the city’s official policy. But the attractive aspects of the Green Code disguise a comprehensive land use and development plan that replaces the ultimate goal of zoning – promotion of public health, safety and general welfare – with a single-minded push for economic development. Under the Brown Administration’s scheme, zoning is no longer seen as a tool to protect residential streets from the increasing encroachment of commercial activities. Instead, it is but one more tool to further “economic development,” by providing a mechanism for commercial uses to spread to virtually every residential block in Buffalo. The Green Code … is the key element of Mayor Brown’s place-based economic development strategy aimed to further promote private and public sector investment, facilitate job creation, restore the environment and improve Buffalo’s quality of life for residents. In other words, the city’s current zoning ordinance has not been an obstacle to a major economic boom. This reality was underscored by the venue chosen for last week’s announcement of the filing of the Mayor’s Green Code proposal with the Common Council. Mayor Brown’s exuberant promise to “revolutionize the development process” was proclaimed from an outdoor podium at Larkin Square. 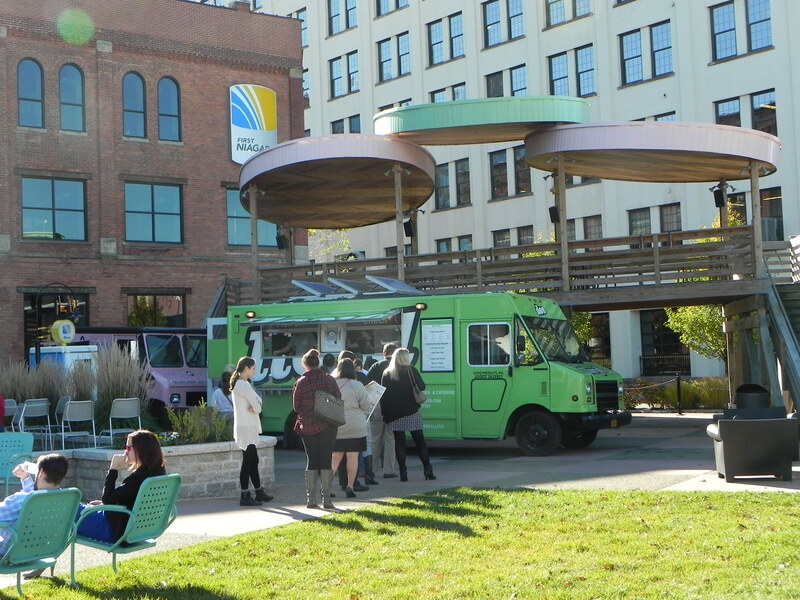 The thriving Larkinville district, as well as projects such as HarborCenter, and the new Delaware North headquarters at Delaware and Chippewa, have grown and prospered despite the absence of the Green Code. As proposed, the draft Green Code would allow commercial and non-traditional residential activities on virtually every residential street. The Brown Administration and Green Code advocates are enamored with the concept of “mixed use” neighborhoods where everything residents need is theoretically within easy walking distance of their homes. 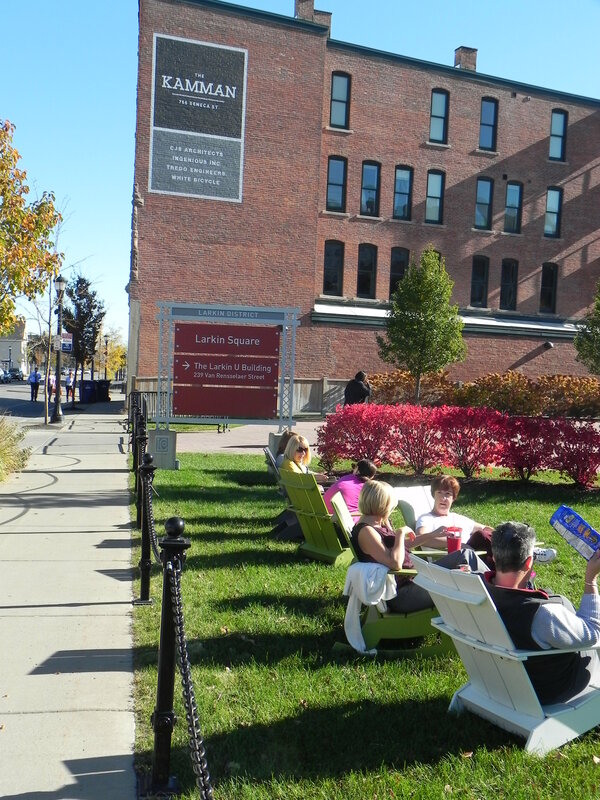 At the October 22nd media event, Leslie Zemsky – known as the Larkin Group’s “Director of Fun” – told the assembled crowd that the Green Code would create “fun” by bringing back mixed use communities. In its current form, the Green Code would allow a “neighborhood shop” – including as disruptive an activity as a tavern with live entertainment – to be established in so-called “N-2R” and “N-3R” zones within “an existing commercial building,” even if the structure was last used for commercial purposes generations ago, if an applicant obtains a special use permit. Disturbingly, the “neighborhood shop” concept is not reflected in the mechanism hailed by the Brown Administration as providing residents and developers a quick and easy way to immediately see which uses are allowed in each of the proposed zoning code’s twenty-two (22) zoning districts: the PRINCIPAL USES Table. That assertion, however, is not true. The Principal Uses table fails to reflect the potential that neighborhood shops” are allowed with a special use permit in two prevalent “residential” zoning districts, N-2R and N-3R. 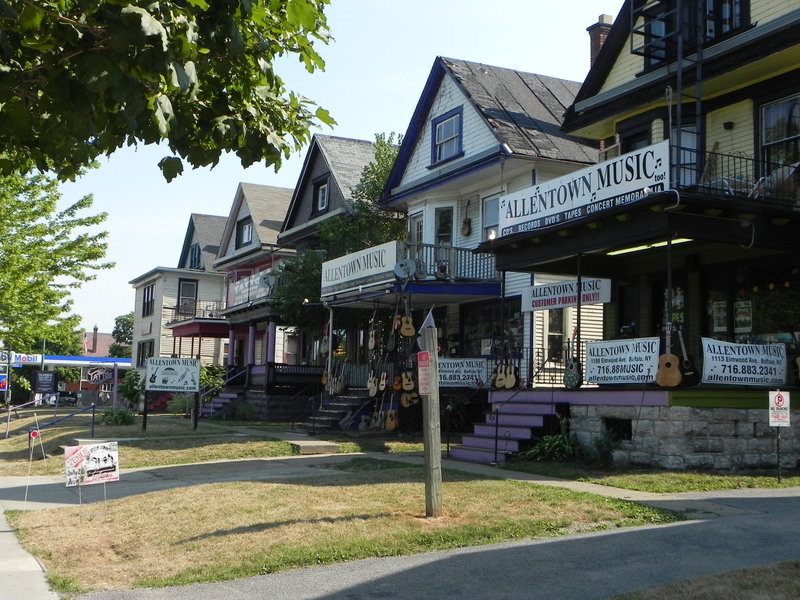 By not indicating the possibility that one or more of the five categories of so-called “neighborhood shops” could be coming to a currently residential block, residents are being misled to believe that their neighborhood is safe from encroachment by unwanted commercial activity, and the accompanying traffic, noise, and loss of privacy. 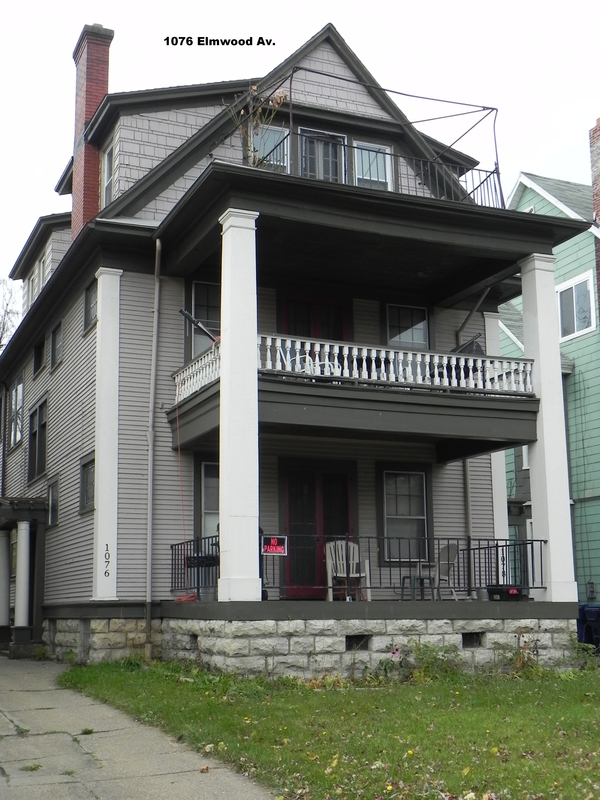 But even on blocks without a pre-existing commercial building, residential streets throughout Buffalo would be subjected to the following uses on any lot: a bed-and-breakfast (with up to 10 guests); a cultural facility or place of assembly; a group home for unrelated persons with disabilities (including those who have undergone treatment for alcohol or drug addiction); “public safety facilities”; and a “market garden” open to the general public. The draft Green Code, by extensive reliance on the “Special Use Permit” process, would bring more uncertainty – not less – to Buffalo’s residential neighborhoods, and provide less protection to nearby residents and property owners than zoning amendments and variances. The Mayor’s propaganda machine promised a new land use code that would bring “clarity and predictability” to the zoning process, allowing neighbors to have “certainty about what can and cannot be built next door.” Unfortunately, the proposed Green Code does just the opposite. 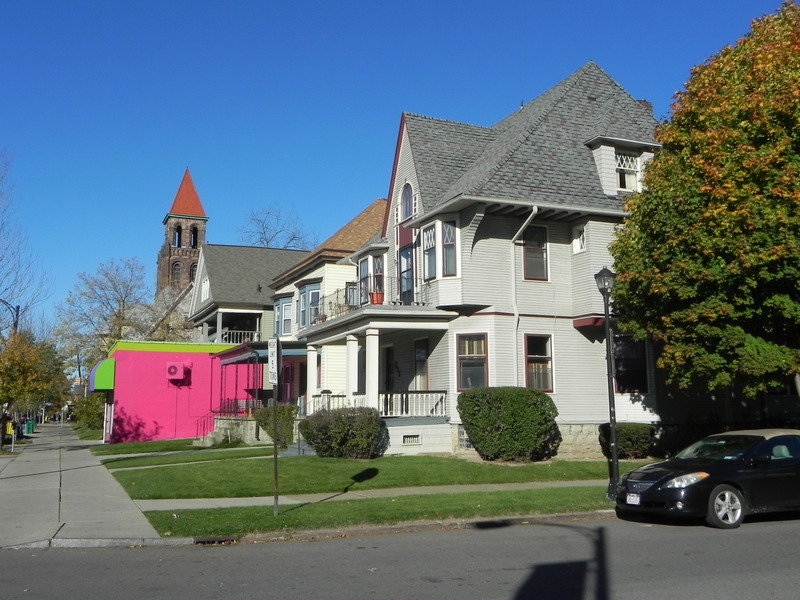 By creating the potential for a wide variety of non-residential uses in residential neighborhoods through overuse of the “special use permit” process, residents on the vast majority of Buffalo’s residential streets – whether homeowners or renters – will be burdened with the possibility of living next door or down the block from unwanted commercial activities. In its latest iteration, the Green Code’s “Principal Uses” table depicts the “Special Use” symbol more than one hundred sixty (160) times. That means that there are 160 different circumstances where a particular use might be allowed. As noted above, that number does not include the availability of special use permits to establish or expand a “neighborhood shop” in a building originally constructed for commercial usage. An activity requiring a special use permit is not allowed “by right,” but requires a property owner or authorized person (for example, a businessperson who does not own the property) to apply to the Common Council for a “special use permit.” The Green Code’s widespread reliance on the special use permit process not only creates uncertainties for nearby property owners and residents, it provides little protection and creates a false sense of security. Developers and the business community generally prefer special use permits, and for a good reason. New York’s courts have consistently ruled that when a legislative body – such as the Common Council – includes a use in a zoning law as an allowed activity if a special use permit is granted, it is making a finding that the use is in harmony with a community’s general zoning plan and will not adversely affect the neighborhood. 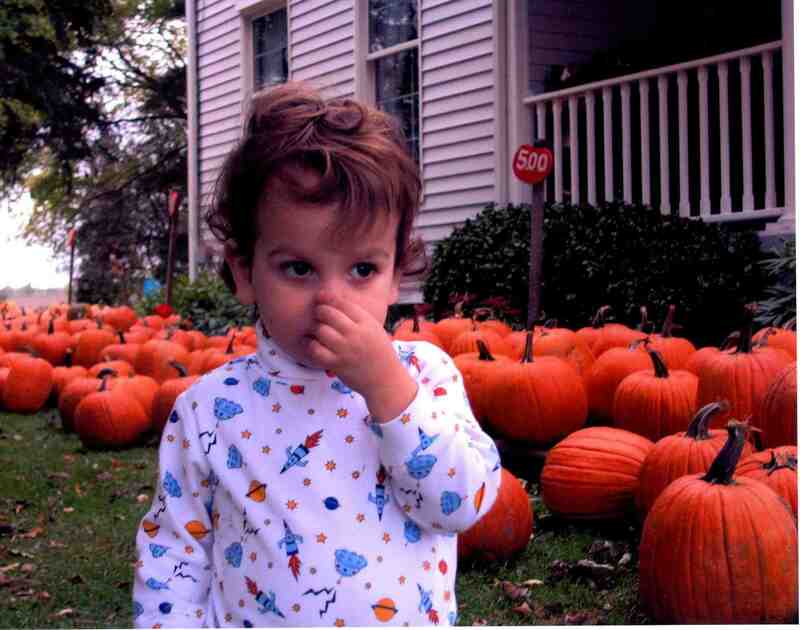 For that reason, an applicant possesses a much greater chance of obtaining a special use permit than it does a zoning amendment from the Common Council, or a variance from the Zoning Board of Appeals. Not only are special use permits the easiest type of zoning approvals to obtain, they are the hardest approval for an unhappy neighbor to overturn in court. The Green Code team fails to adequately explain why the proposed new law emphasizes “Form” – that is, the types of buildings – over “Function” – how the buildings will be used. 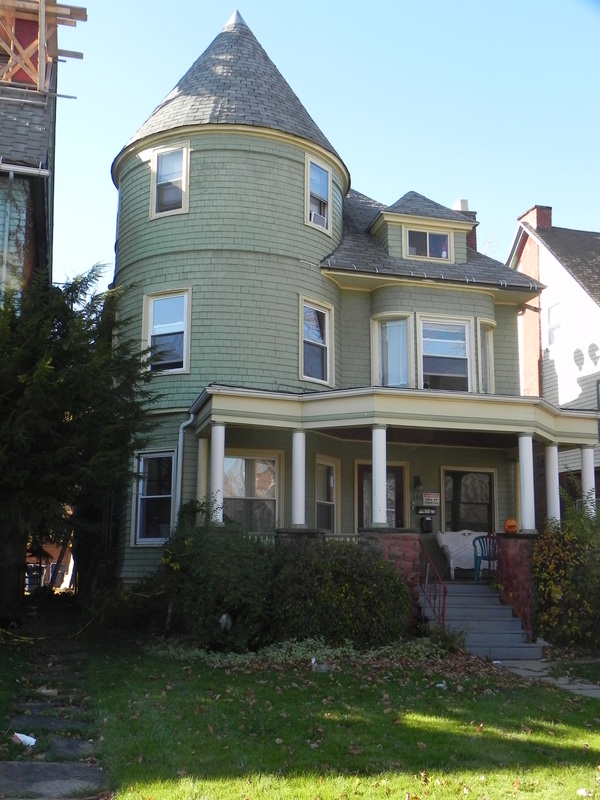 The authors of the draft Buffalo Green Code have chosen to push aside the traditional approach to zoning and land use regulations – which emphasizes how land and buildings are used – and, without adequate justification, have proposed a “form-based code” where emphasis is on the type of buildings that are allowed, rather than the activities that are taking place in the building. The Green Code’s proposed elimination of all minimum parking requirements is unfair to existing businesses and nearby residential neighborhoods. The Brown Administration has chosen to eliminate all minimum off-street motor vehicle parking requirements in its proposed zoning ordinance. The Mayor’s staff calls this a “market based approach,” based on the fiction that developers wishing to construct a new building, or expand an existing one, will always make certain that their tenants, customers, and employees have adequate parking facilities. In the real world, however, developers are often tempted to skimp on off-street parking if given the opportunity, preferring to construct larger buildings that will provide additional revenue. When that happens, tenants and customers are compelled to park on the street. In areas where parking is already at a premium, existing businesses suffer when their lots are used by someone else’s customers, or their own customers can no longer find on-street spaces nearby. Worse of all, the excess parking spills over to neighboring residential streets, bringing with it noise, loss of privacy, and inconvenience. 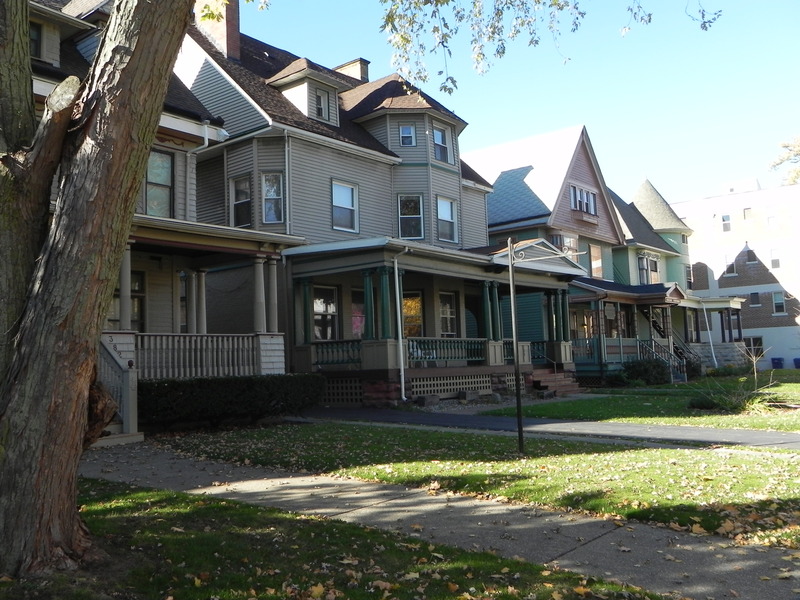 Recent news stories reflect the fact that homeowners and tenants throughout Buffalo – from the Fruit Belt to the Lower West Side to the Elmwood Village – are already besieged by nonresidents parking near their homes, resulting in substantial inconvenience and loss of privacy. The Green Code’s elimination of any minimum off-street parking requirement will greatly exacerbate that problem. Everything but an appropriate place to park those additional cars. The latest version of the Green Code fails to preserve the character and historic fabric of the Elmwood Village. Mayor Brown’s recent press release echoes the promises made throughout the Green Code process that the new zoning code would encourage buildings “that fit our historic city patterns.” But the latest edition of the proposed Uniform Development Ordinance would eliminate the very features of the current zoning ordinance that have reinforced and preserved the historic fabric of the Elmwood Village and nurtured the balance between residential and non-residential uses: substantial limits on the intensity and scale of commercial uses on Elmwood Avenue. A. 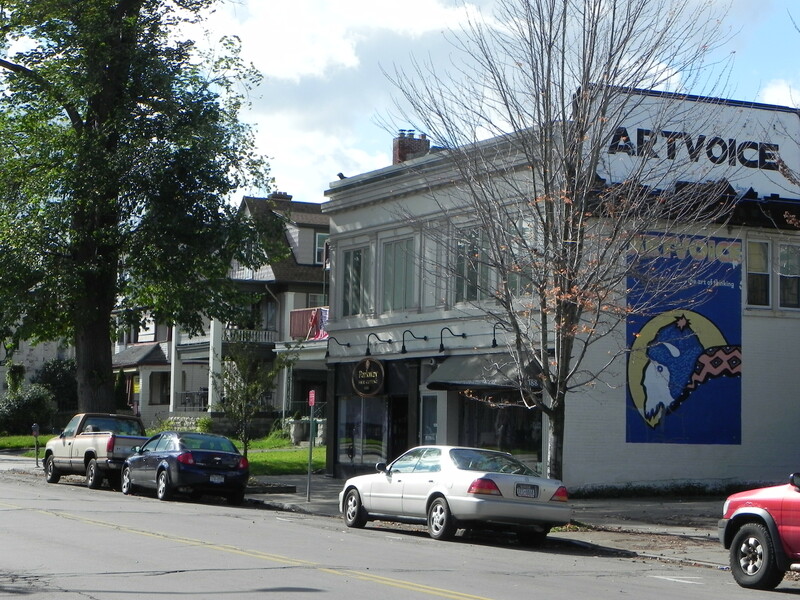 Placement of most of Elmwood Ave. in the so-called N-2C “Mixed-Use Center” Zone is inconsistent with the historic fabric of the Elmwood Village. But labeling this integral stretch of the Elmwood Village N-2C ignores the character and scale of the existing buildings, and, thereby, the unique charm that has made this neighborhood so attractive. 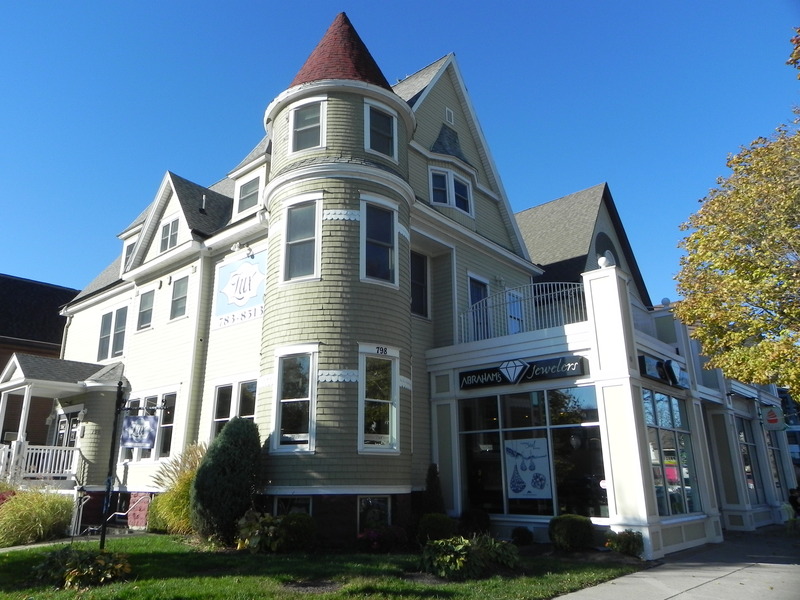 N-2C allows 5-story commercial buildings – with the decidedly unattractive moniker of “Commercial Block” – despite the fact that the predominant height in this area is 2 to 3 stories. 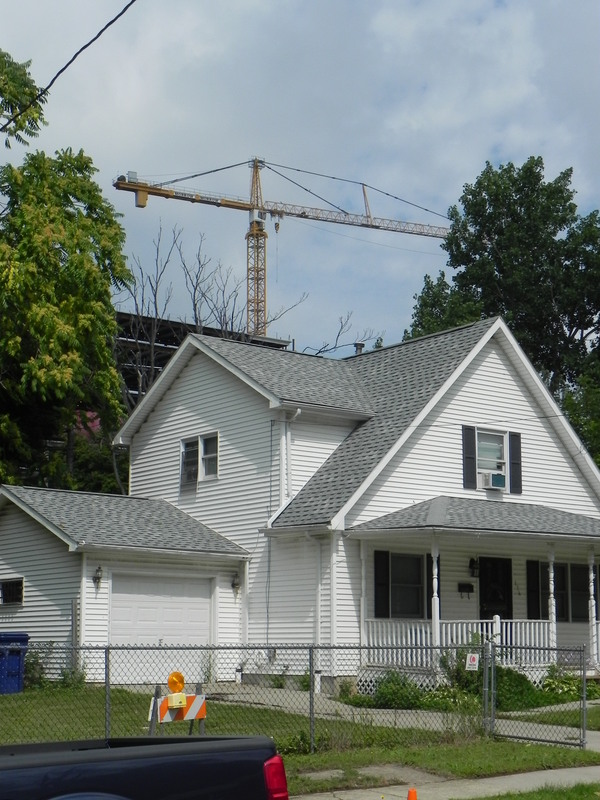 The N-2C zone also prohibits the construction of houses, whether detached or attached, despite the prominence throughout this portion of the Elmwood Village of free-standing residential structures. B. 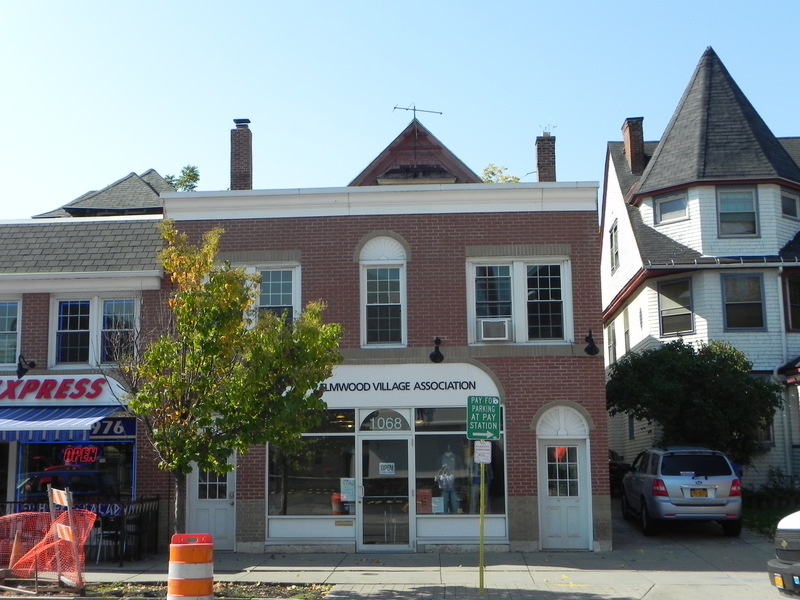 The height and scale of “Commercial Block” buildings is inconsistent with the character of the Elmwood Village, and will adversely impact residences on abutting streets. 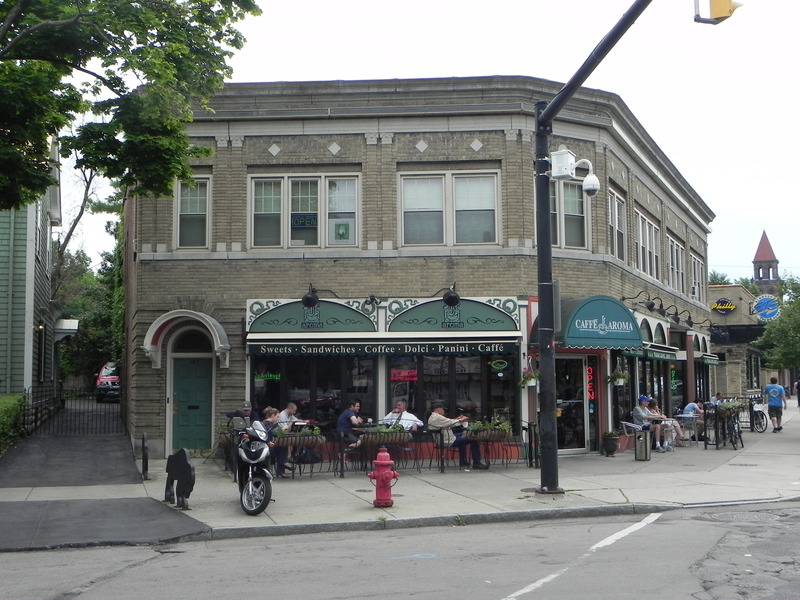 As currently written, the Green Code would allow so-called “Commercial Block” buildings up to 5 stories in height, and as wide as 120 feet in those areas of Elmwood Avenue zoned N-2C. 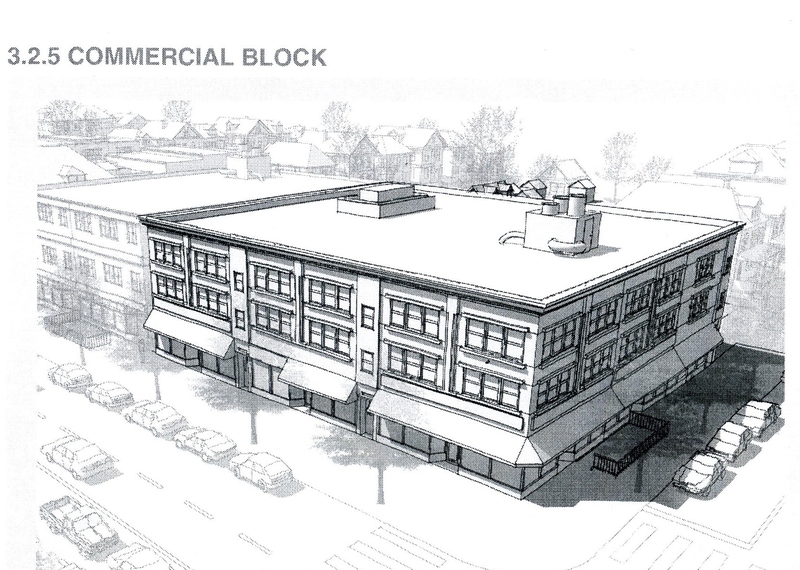 In contrast, the proposed maximum height of Commercial Block buildings on the stretch of Hertel Avenue between Delaware Ave. and Starin – a so-called N-2E zone – is a more reasonable 3 stories. 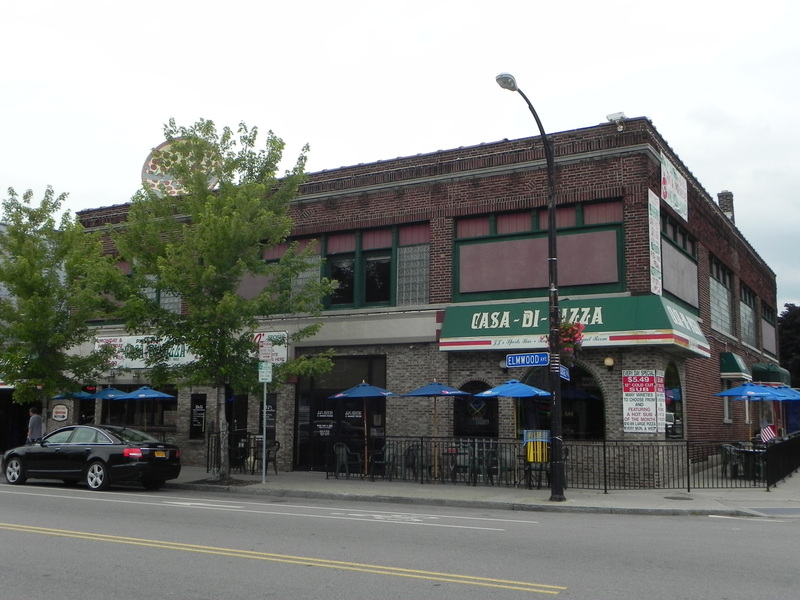 And Casa-Di-Pizza, also two-stories in height, sits on a 64-foot wide lot and weighs in at less than 11,500 square feet. 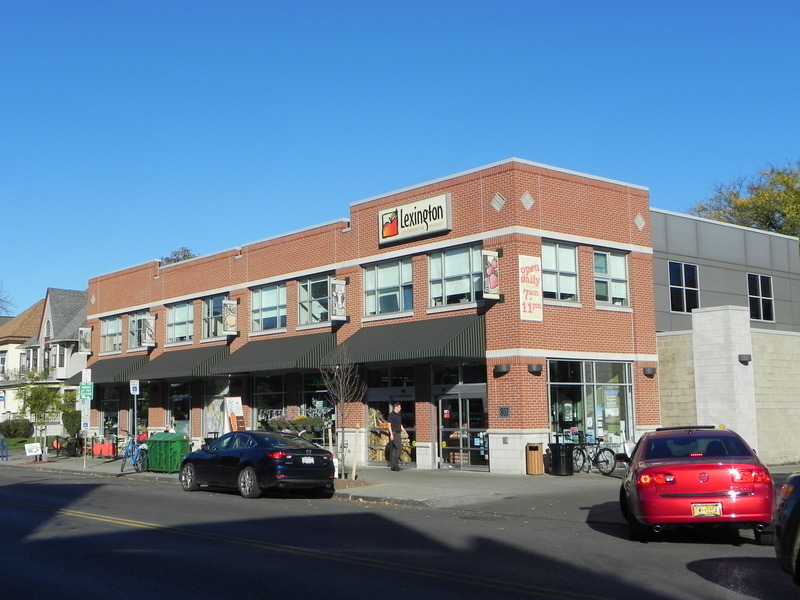 Even the Lexington Co-op’s more recent building at Elmwood and Lancaster is only 8,800 sq. ft.
As currently written, the draft Green Code generally requires a zero-foot rear yard for Commercial Block buildings – NO BACK YARD! 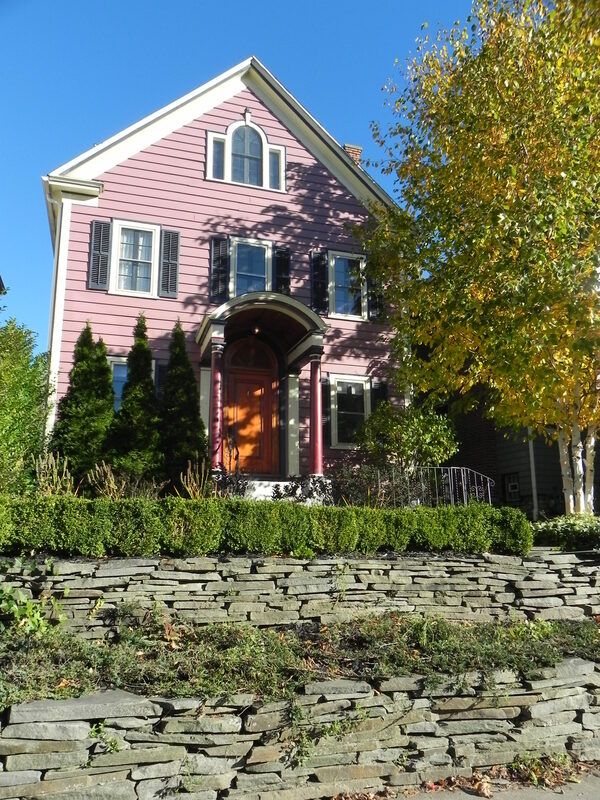 In response to outcries from neighboring property owners on abutting residential streets, the current version requires a minimum rear yard setback of “10% of lot depth if rear lot line abuts an N-2R, N-3R, N-4-30, or N-4-50 zone.” While a slight improvement, this feeble buffer would subject residents – such as a group of prior clients of mine on Granger Place – to a 5-story commercial building a mere 14 feet from their rear yards, replacing what have historically been the back yards of 2-family residential structures. C. Allowing 120-foot wide Commercial Block buildings will hasten speculation and demolition of the characteristic Elmwood Village structures. 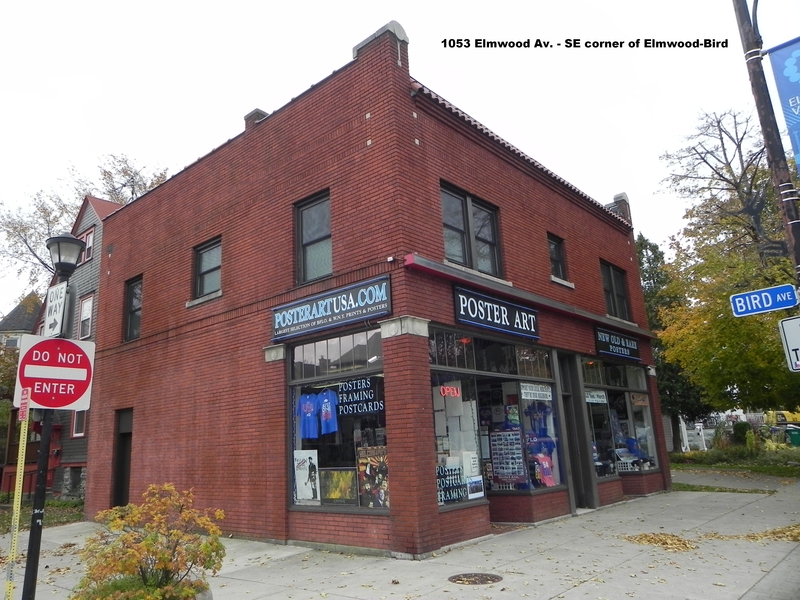 It is not only the incongruent scale of the “Commercial Block” buildings envisioned by the draft Green Code that threatens the historic fabric of the Elmwood Village. 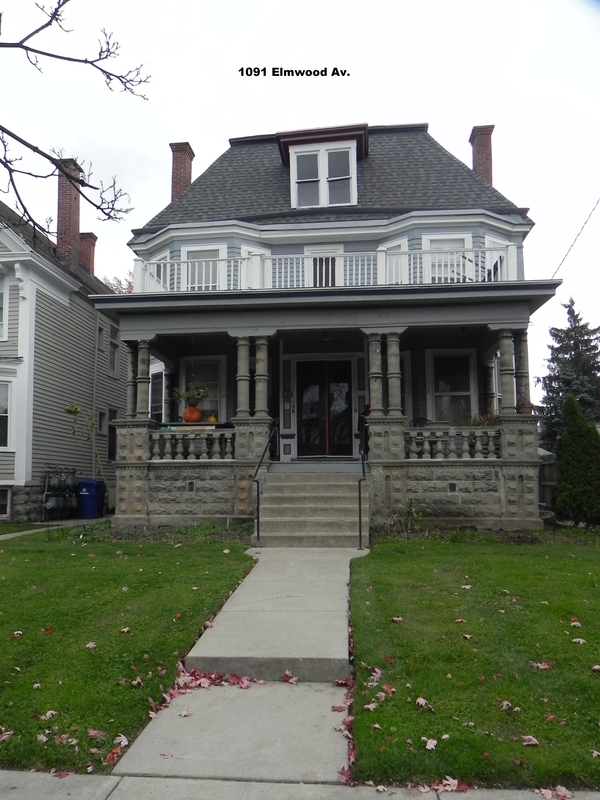 Many of the lots in the Elmwood Village are only 30 to 40 feet wide. 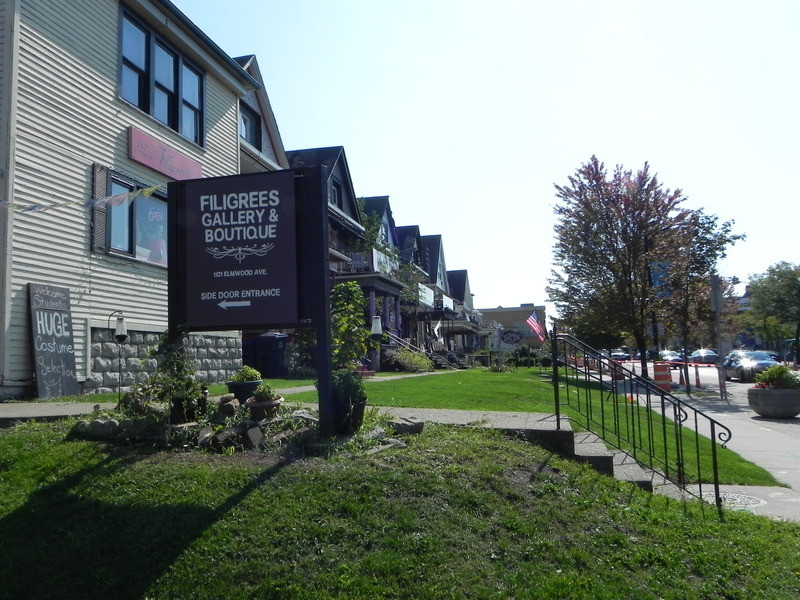 Allowing buildings 5-stories tall and 120 feet wide would encourage speculators to purchase and demolish rows of century-old residential structures – the essence of the Elmwood Village’s character. 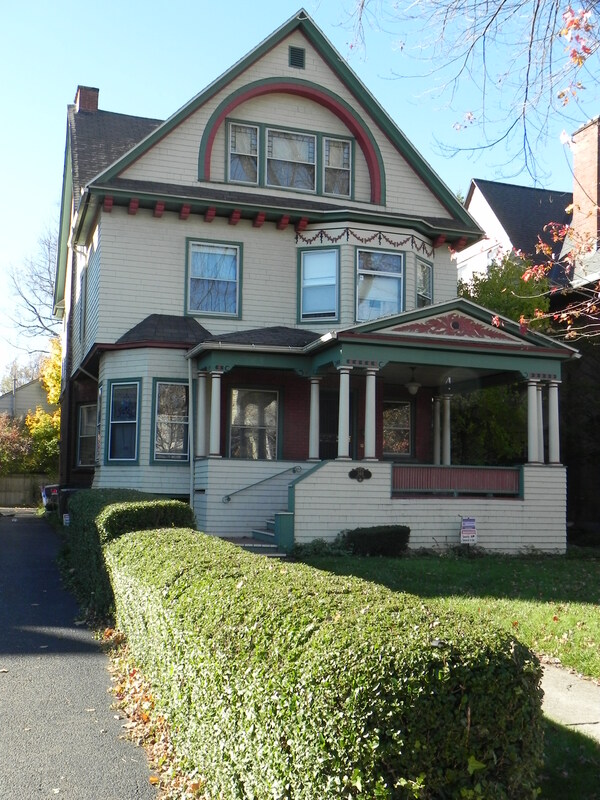 And, as noted above, the Mayor’s proposed development ordinance would prohibit construction of any new dwellings – whether in the form of attached or detached houses – on Elmwood Avenue, despite the historic neighborhood’s blend of residential and commercial structures. D. The Green Code further threatens the scale and character of the Elmwood Village by eliminating the strict limitations on the size of commercial establishments that were established in the mid-1970s pursuant to the protective provisions found in the “E-B” special zoning district. 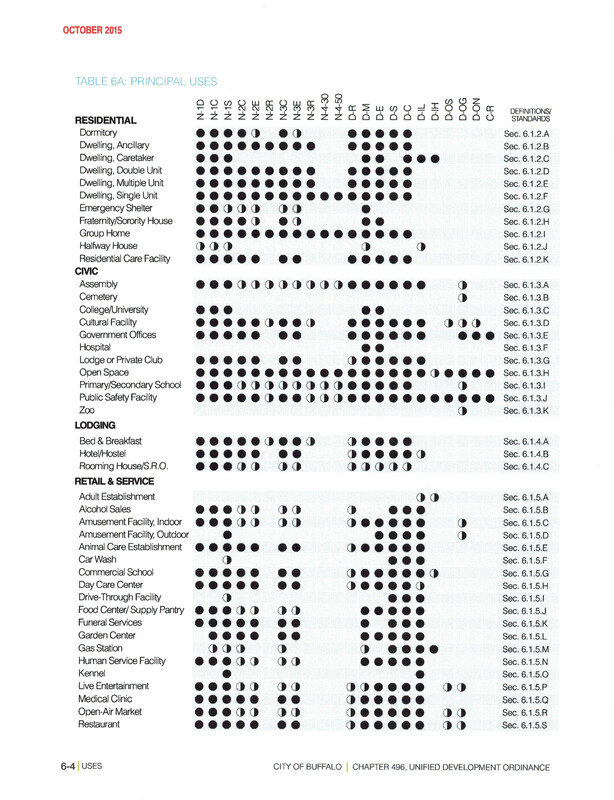 Legislative intent. The Common Council finds that the stability and continued viability of this area as a sound residential, commercial and cultural area of the City is threatened by the overdevelopment and expansion of bars, taverns, restaurants, takeout food shops and other commercial enterprises which threaten the continuation of the essentially unique and continuing viability of this area. The Common Council further finds that the encroachment and expansion of enterprises of his nature have given rise to traffic congestion, hazards to the life and safety of pedestrians and motor vehicle passengers and operators, extensive illegal parking, excessive noise, vandalism and trespass and damage to public and private property. Further, this condition has created annoyance and interference with the rights of residents of the neighborhood to their right to peaceful enjoyment of their property and an invasion of their rights of privacy. By creating this special zoning district, the Common Council of the City of Buffalo intends to create a compatible balance between the legitimate commercial interests and the lawful interests of the residents of this area. Despite the undoubted success of the Elmwood Village as a thriving urban community, the draft Green Code would drastically alter the existing balance between the quality of life of residents and commercial activity. 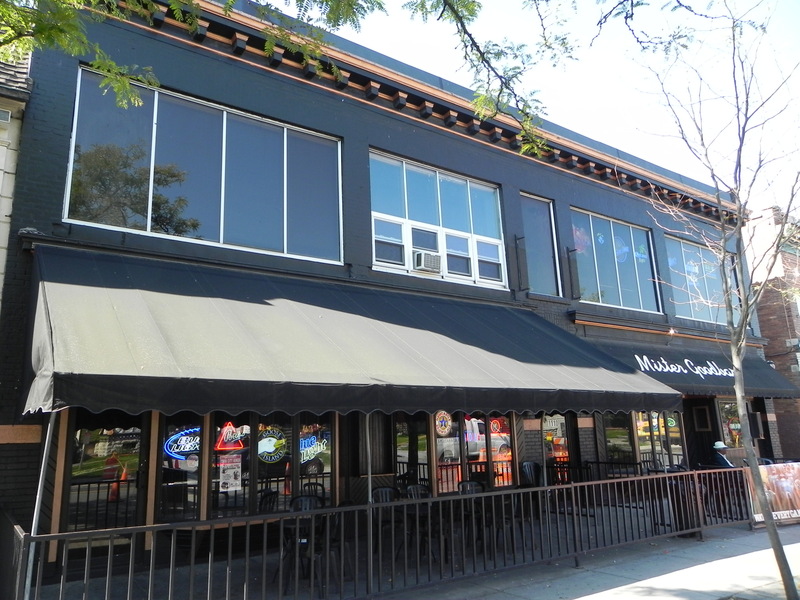 In stark contrast to the 2,500 square feet “on any single floor” maximum created in the E-B district legislation, the latest Green Code draft sets the limit for “ground floor commercial space” in the Elmwood Village at 10,000 square feet, and provides no limits for an entire building or business. Relaxation of restrictions on the scale of commercial activity will jeopardize the essence of the Elmwood Village. 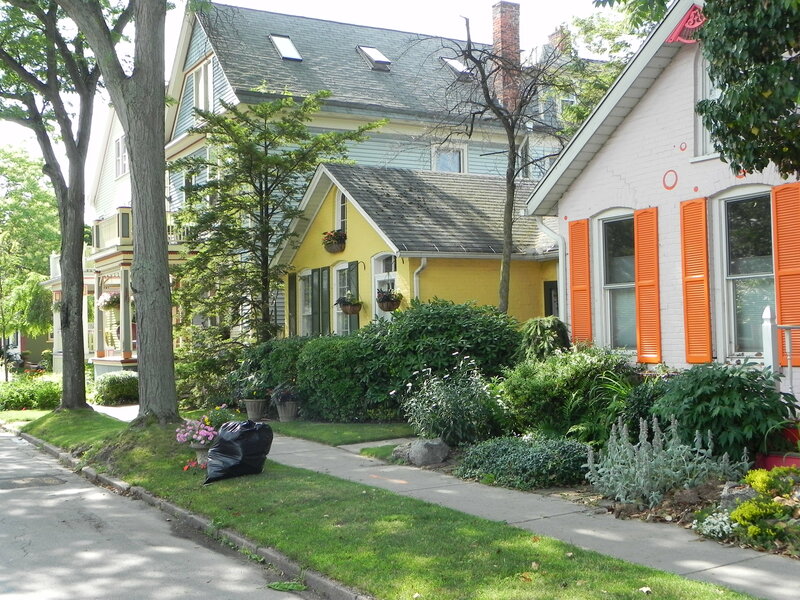 E. By its inflexible insistence on zero front-yard setbacks, the proposed Green Code will eliminate the green front lawns that grace a substantial number of Elmwood Avenue lawns. 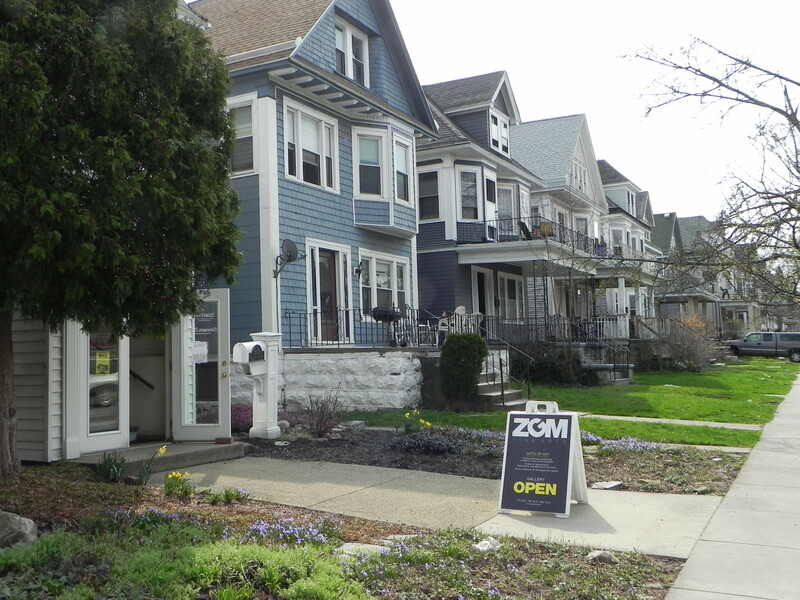 In sharp contrast to the inviting green lawns that have adorned so many of the Elmwood Avenue properties, the proposed zoning law mandates – in the name of “walkability” – that all structures be built right at the sidewalk with zero setback. Once again, such a requirement adversely impacts the fabric and feel of the Elmwood Village. 6. 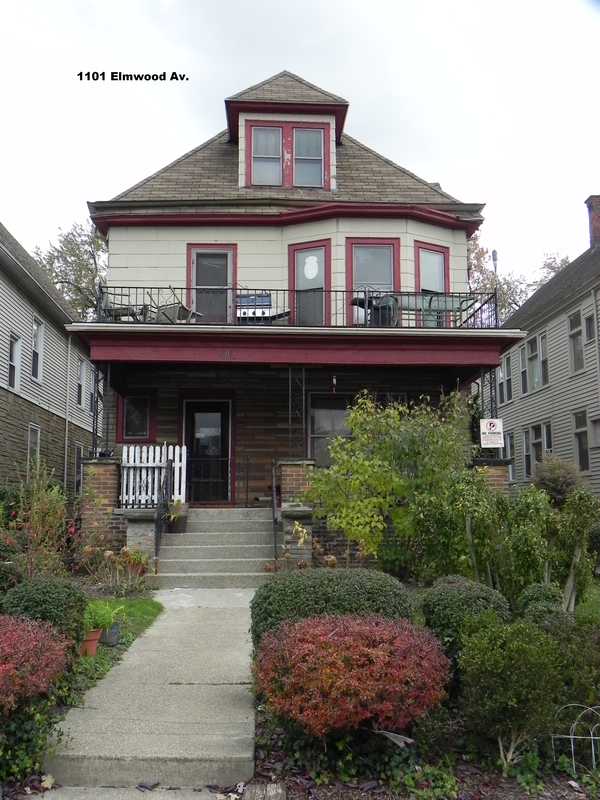 Rather than protect the low-income residents of McCarley Gardens and the Fruit Belt neighborhood from encroachment by the Buffalo Niagara Medical Campus, the draft Green Code would increase the threat and pace of displacement and gentrification. 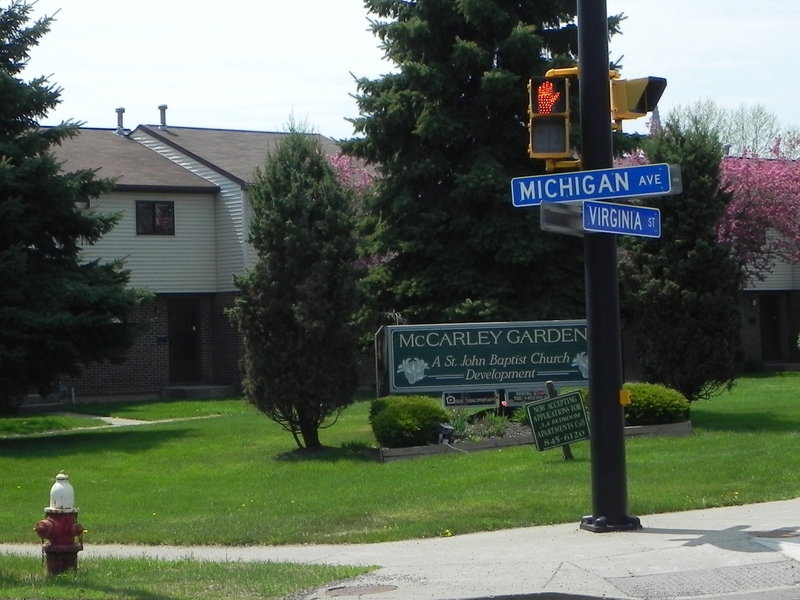 The draft Green Code classifies the McCarley Gardens site at the corner of Michigan Avenue and Virginia Street as a “Residential Campus.” While at first glance that may sound reassuring to the 140+ families living in the predominately black, low-income townhouse development in the shadows of the Buffalo Niagara Medical Campus, the details suggest otherwise. In the hands of ardent “mixed use” proponents, the term “residential” no longer means what Buffalonians might think. The Brown Administration’s land use plan does little, if anything, to protect the current residents from being pushed out of their homes, in order to make way for new and profitable development, by proposing creation of a “mixed use” campus. By virtue of the types of uses that would be allow on the so-called “Residential Campus,” the Green Code as currently drafted provides a major incentive for developers to purchase and demolish McCarley Gardens. The 23 townhouse buildings could be profitably replaced with an up-scale project that could include everything from medical clinics, residential care facilities, professional offices, and retail and service establishments, to hotels, restaurants (with outdoor dining and live entertainment), and taverns. 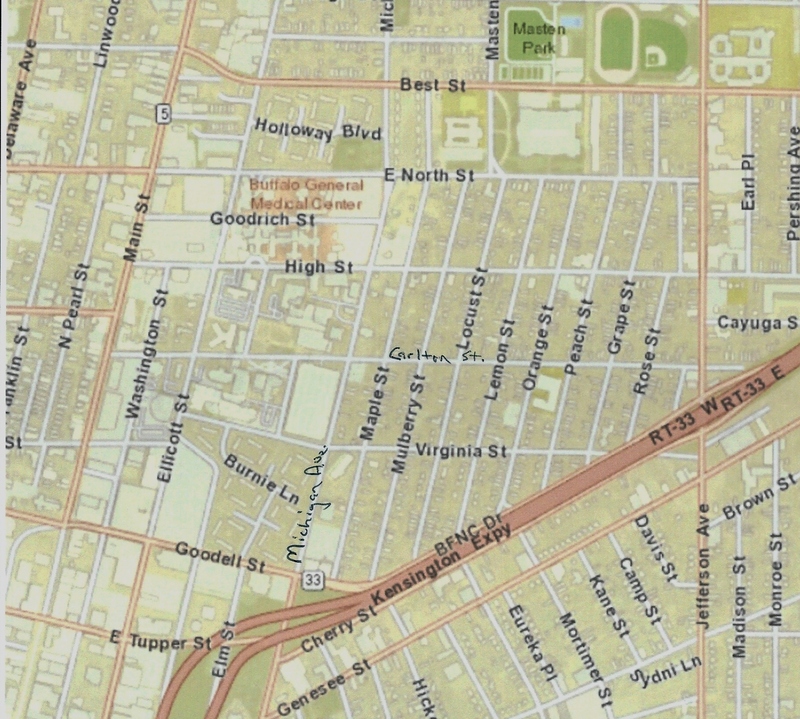 Additionally, the draft Green Code’s lengthy list of non-residential uses and sizeable buildings permitted alongside the medical campus and on the predominately residential streets of the Fruit Belt neighborhood will fuel the speculative purchase of properties and gentrification – the displacement of the current homeowners and tenants in the historic community to the east of the medical campus. The Green Code is now in the hands of Buffalo’s Common Council. We can only hope that each one will soon be able to answer the question: So, what activities could occur on my block if the Green Code is enacted? 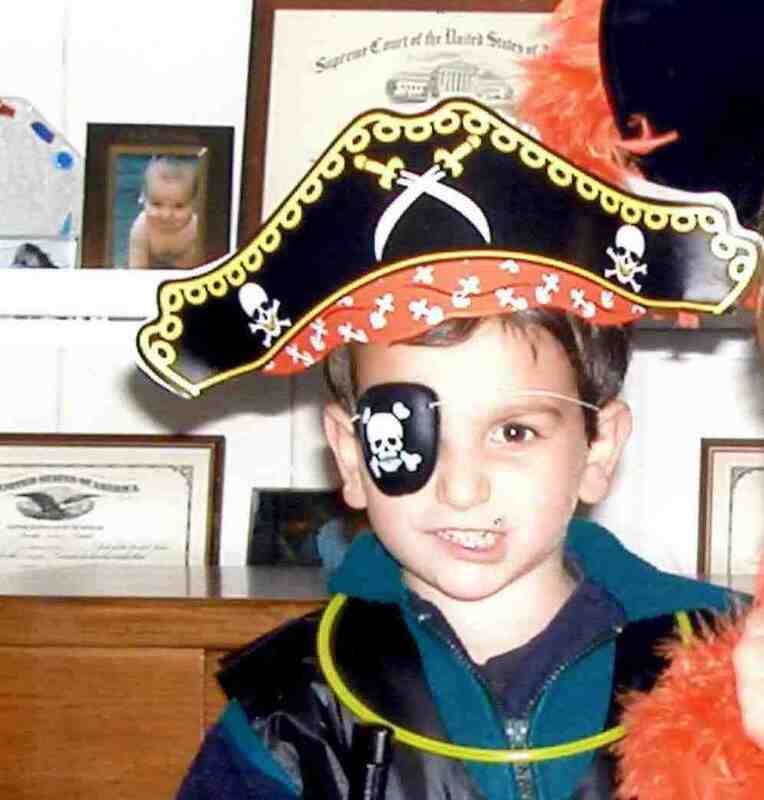 Note: A version of this post was published in the October 29 – November 4, 2015 weekly edition of ARTVOICE at http://artvoice.com/issues/v14n43/news_green_code.